The classic dinner and movie is always a safe bet when it comes to dates. But after three months of indoor hibernation, in spring, we all need to spend some time out in the open. Dates don’t always have to be fancy. Most importantly, you both want to have fun and connect. 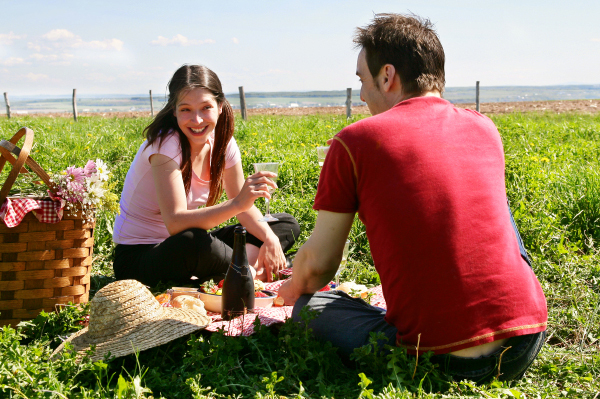 Whether you are casually dating or in a long-term relationship, here are some outdoor date ideas that you can try out this season. Parks might seem outdated and high-school appropriate at first glance. But you can never go wrong with a date at the park. You can go classic, with a more picnic-like date, where you bring some homemade goodies to be followed by a stroll in nature. That is not the only option, however. Try going to a park a bit before sunset and enjoy a calm, romantic walk. You will find yourselves opening up… and the setting sun will do the rest of the magic. If you like the sound of a walk in nature but want something a little less classic, then going to a lakeshore or riverside would be the date you are craving. Waterfronts are always lined by restaurants and cafes, so you can start off with a meal, then grab some smoothies and stroll by the water. And be sure to stop and take some beautiful photos too! Bringing activities into our dates can be very healthy, in more ways than one. They’re a way out of awkward silence if you are still getting to know one another, and can be a longed-for break from the indoor, passive routines of those who are in relationships. You don’t need to go on a hike. You can simply pick a trail and bike together at a comfortable speed. This date will definitely get you laughing — this is the time to be silly! Want a little more adventure? You can opt for rollerblading. While summer barbeques are all about gatherings and drinks, a spring backyard barbeque can be very romantic. You can barbeque together close to home and just hop inside the minute it gets cold. This could add a bit of spice to a home-cooked meal, just for a change.